Gaudí’s first Modernist jewel in Barcelona, completed in 1883, is among the pioneer buildings in Europe’s Art Nouveau. Together with the flamboyant villa El Capricho in Cantabria, the house reflects Gaudí’s Orientalist period, which was inspired by Islamic–Hispanic art styles such as mudéjar and nazarí. 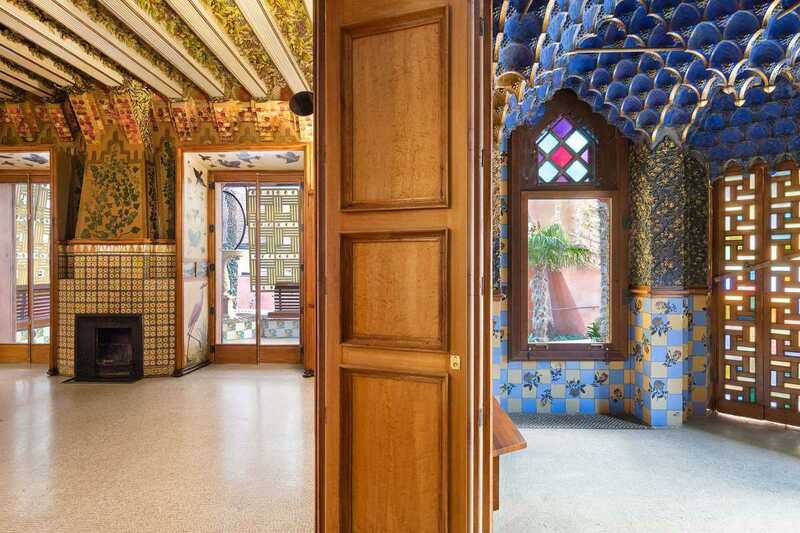 Comissioned by stockbroker Manuel Vicens i Montaner, Casa Vicens was built as a summer garden home in the former village of Gràcia and expanded in 1925 by Joan Baptista Serra de Martínez. Generously open with thoughtfully designed windows and balconies, Casa Vincens’ interior resembles a garden itself, with numerous floral motifs on the walls, floors and ceilings – while the scarcity of furniture doubles the joys of contemplation. The accessible rooftop with green and white ceramic tile provides a view to the surrounding neighborhood life, while the second floor has been converted into a thematic exhibition hall.